Turbine Tree – Merry Christmas! If the lights are green then the turbine is at full whack, ~2.5MW output. If the lights are red then the turbine has low output. If the lights are blue then the turbine is not sending data; likely it is down for maintenance. The tree can also be seen in the iLancaster mobile app for staff and students – head to your app store to download or use online at iLancaster.lancs.ac.uk. Tree data is supplied by ISS. It seems very fitting that the very first blog post on this website should mention the first prototype iteration of the various technologies we may/may not/will use for the onSupply project. During a previous Tiree TechWave (TTW), Rory Gianni created a simple website that monitors the current wind speed on Tiree and uses this to estimate the energy generated by the island’s wind turbine (Tilley). 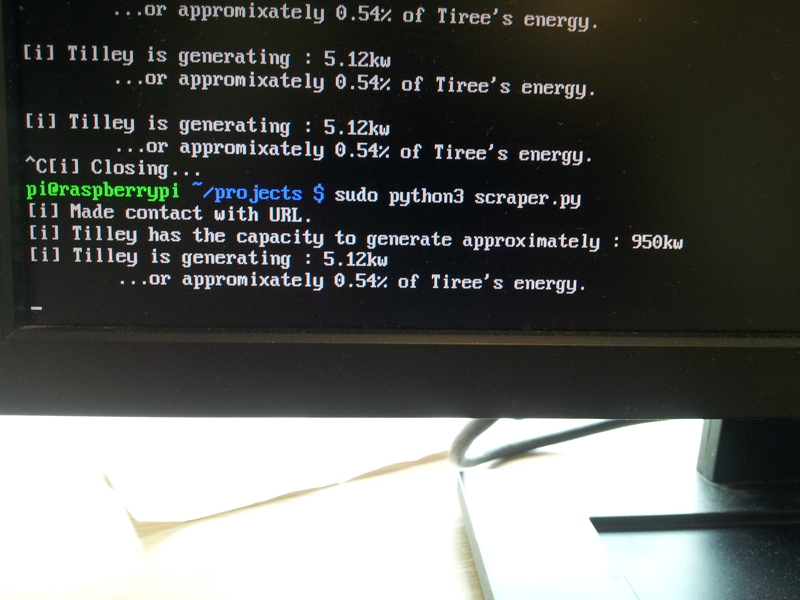 Although not a perfect estimation, it does give an indication of Tilley’s output. 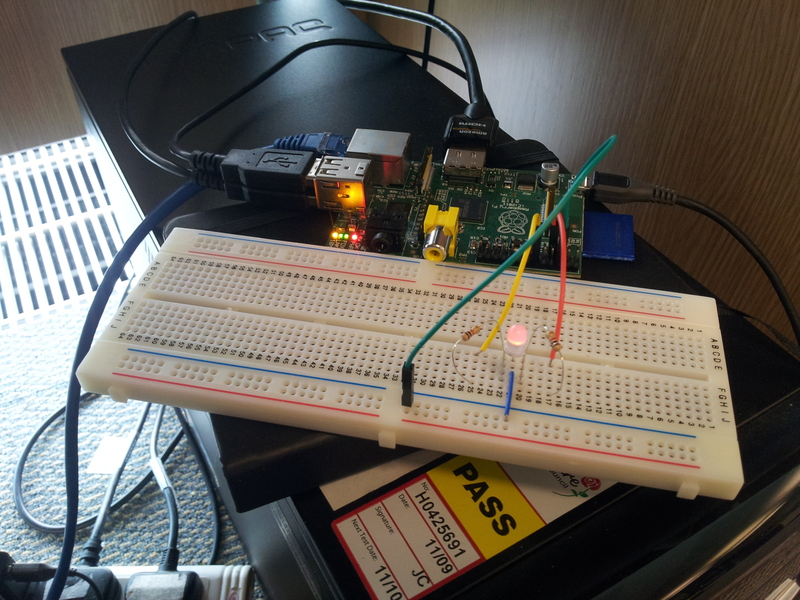 Today, we have just hacked together a quick gadget using a Raspberry Pi, a 2 colour LED, and a web-scraping of Rory’s website. Using this LED and the Kilowatt value read from Rory’s site, the Raspberry Pi is able to visualise the (estimated) percent of the island’s power produced by Tilley. As the percentage of power generated by Tilley approaches 100%, the LED colour shifts from Red to Green, symbolising the shift from non-renewable to renewable energy being used by the island. As Tilley is a 950Kw wind turbine, and as the energy requirement of the island is approximately the same, it is fairly trivial to provide an extremely rough estimate of Tilley’s contribution to the energy requirements of the island.